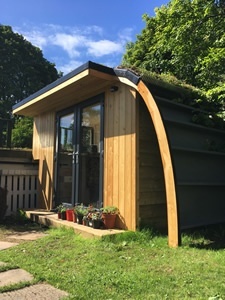 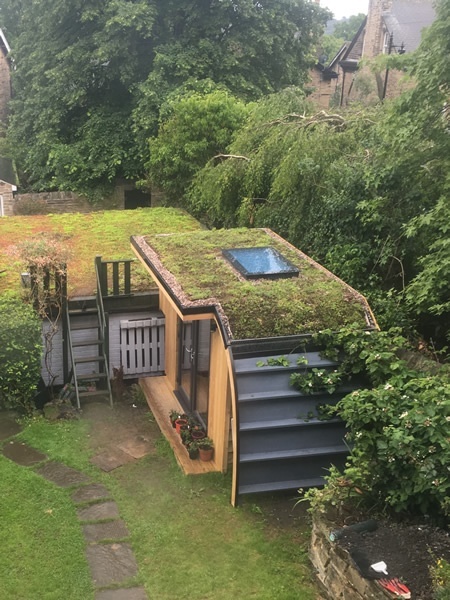 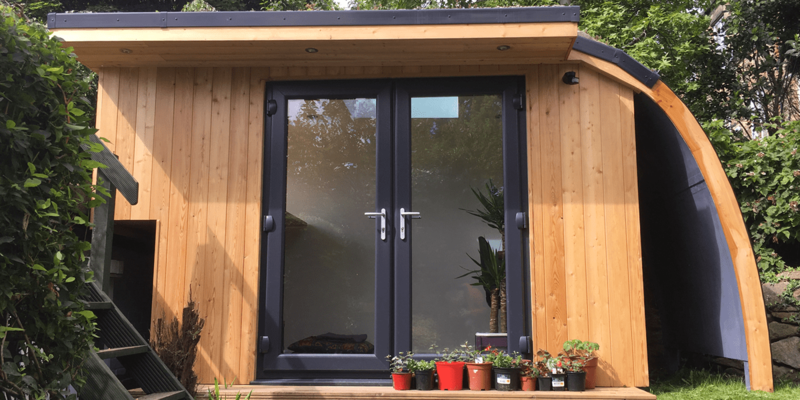 A bespoke design with curved green roof/wall and pod to blend into the garage and small garden. 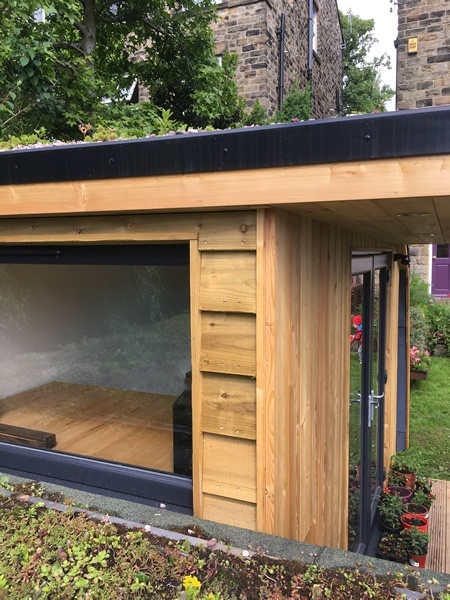 Description The requirement here was fit an office into a small garden without it looking out of place. 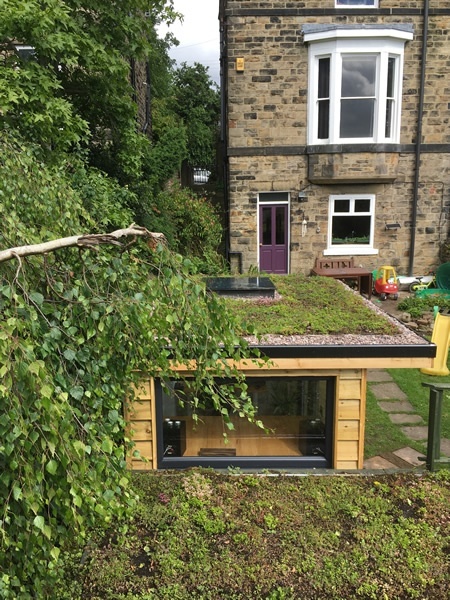 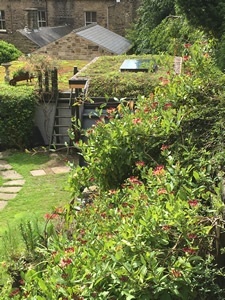 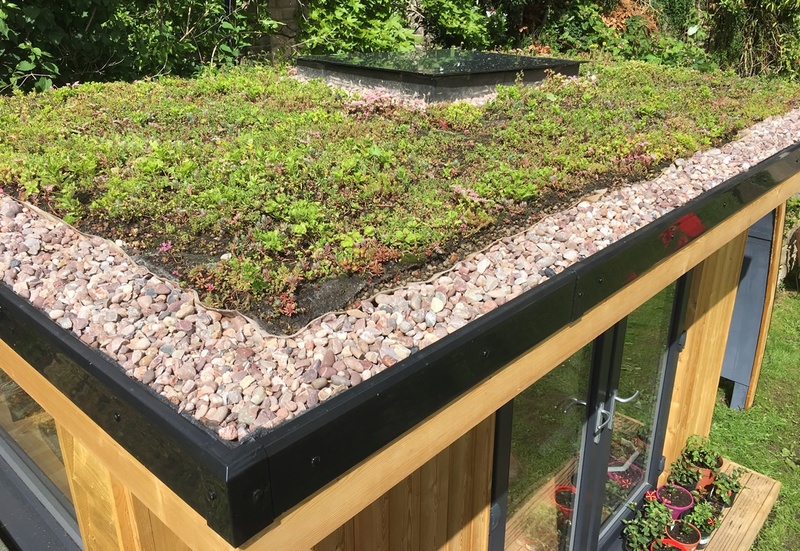 The solution was blend the room into the existing garage roof at the rear with a matching green roof. At the front end the roof curves down all the way to lawn level and will be planted to become a green wall. A large window overlooks the garage roof, and the pod increases the internal space with a high seating area. 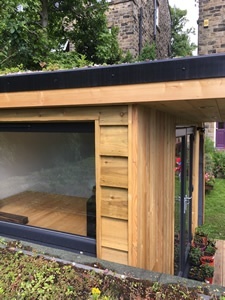 Finished with hard wearing larch cladding to the front.